The project involved the re-development of an industrial brownfield site adjacent to the Shropshire Union Canal, to create a mixed use development comprising of a Waitrose Foodstore and associated Retail Units. The new Waitrose store is a “store on stilts” consisting of 30,000 sq ft of retail space and associated warehouse, office and amenities areas supported on a suspended first floor slab above a car-park. The development also included a new footbridge over the Shropshire Union Canal helping to deliver the City Council’s vision for greater use of the canal corridor. A multi-disciplinary team within Fairhurst comprising of the structural, geotechnical, environmental and infrastructure departments have worked in collaboration to provide a fully coordinated design solution, which achieved the Client’s requirements throughout the project from scheme inception through delivery to construction. A full Revit Structure 3D BIM model has been created using 3D analysis and modelling software and yielded a high degree of coordination during the detailed design phase. Fairhurst were novated to the successful D & B Contractor, Barr Construction, during the construction phase and the project was completed in October 2014. 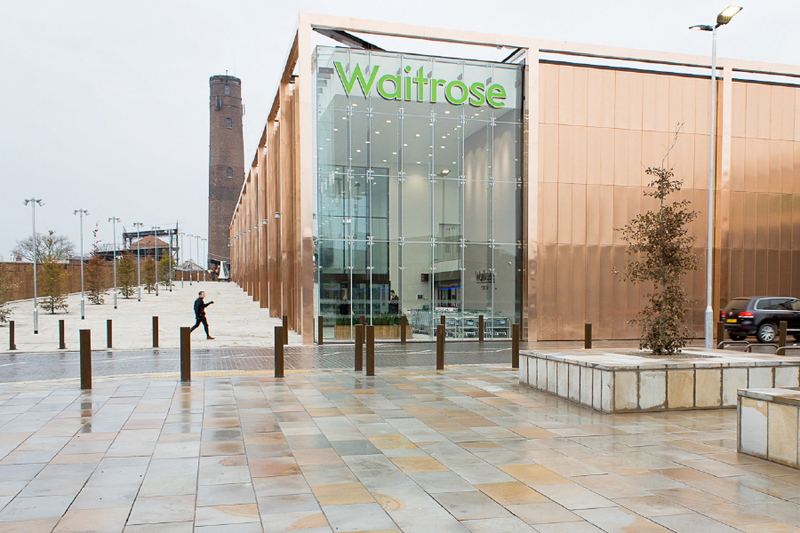 Fairhurst’s long Partnership with Waitrose and the John Lewis Partnership, together with our multidisciplinary skill base enabled us to develop and deliver site specific engineering solutions which meet Waitrose’ business needs.